In March, ticket sales generated $10.8 million, a 10 percent decrease, with 243,591 foreigners visiting the park. 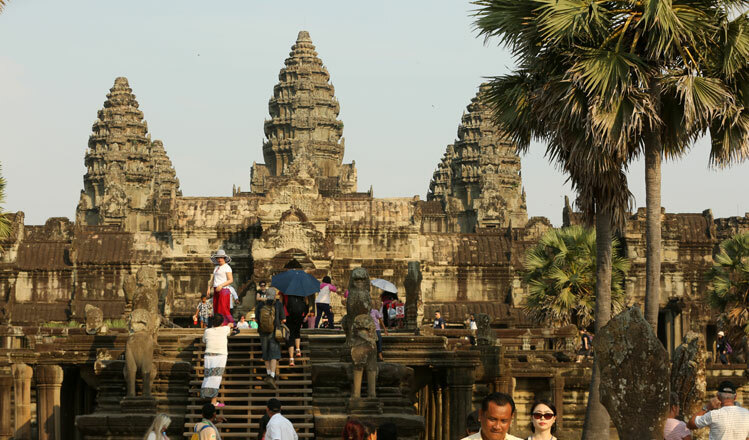 Chhay Sivlin, president of the Cambodia Association of Travel Agents, said ticket sales decreased because little was done to promote the destination during Q1, which she says coincides with the low season in the tourism sector. “We have noticed that more people bought one-day passes as opposed to three-day passes. This may be because they want to save money or because there are not enough tourist attractions in the area to keep them here longer,” she said. “I also think fewer people visited because we are in the low season and because little promotion was done. If the government and the private sector work together to come up with new promotions and offers, we will attract more tourists in the next quarter,” she said. In 2018, the Angkor Institute announced new prices, with one-day tickets rising from $20 to $37, three-day tickets from $40 to $62 and one-week tickets from $60 to $72. Last year, the park earned $116 million in income, an increase of 8 percent year-on-year.